I'm not sure of when i got it or why i got it but i put it up outside and 2 weeks later the bulb was blinking. The EOL looks like a pulse-start MH lamp hot restrike. the socket shrouding the heatsink probably did not help. so they tried to make it last. bet the cheap caps gave up. @toomanybulbs: I guess that's what happens when you use one of these outdoors. I'm going to replace the capacitors with ones i have on hand, see if that fixes the problem. I replaced all of the capacitors in the LED light and nothing changed. Perhaps the problem is with the LEDs themselves ? @dor123 I don't see any physical problems with the LEDs but i guess it's worth a try. All of the LEDs test fine. Did you check the fuse resistor also? Sometimes these cheap resistors go open from crack in the resistive material. @ResR: Then why are the LEDs blinking? The LEDs seems to work fine at really low current but at higher current they begin to flicker badly. 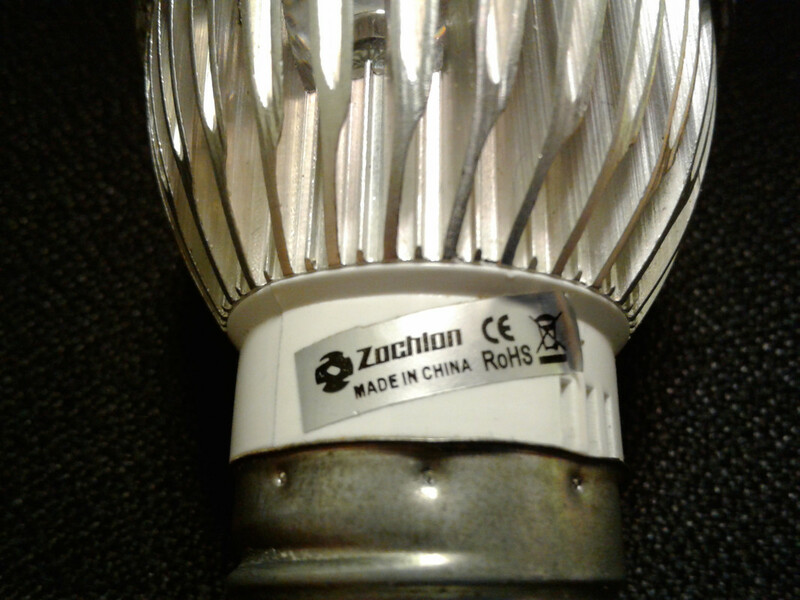 I have another LED bulb similar to this bulb that the driver in it failed, (i knew it was the driver because it left a big skid mark inside the lamp) so i decide to put the driver that was in this bulb into the other bulb and got the other bulb to work.